We make so much of this life, but it comes and goes rather quickly. The Bible tells us, “We are here for only a moment, visitors and strangers in the land as our ancestors were before us. Our days on earth are like a passing shadow, gone so soon without a trace” (1 Chronicles 29:15). We think far too much of this life and far too little about eternity. It is like the previews that are shown at the beginning of a movie. I have often found the previews are better than the actual movies they are promoting. Of course, you don’t go to a movie to watch the previews. You go to a movie to watch the film itself. In many ways, life on earth is like the previews that come and go rather quickly, while the movie is like eternity. That is the main event. We think so much about this part of our existence, but we don’t think much about the eternal part. That is the main event toward which everything is building. Eternity is . . . well, eternal—which means that it goes on and on without end. The mere hope of living eternally is not enough; everyone will live eternally. The big question is where we will spend eternity. Summary sentence: Where will you spend eternity? You can receive a copy of Hope for America in appreciation for your gift to Harvest Ministries this month. Your support will help keep us on the radio, daily proclaiming the gospel, as well as help Harvest America take place on August 26. 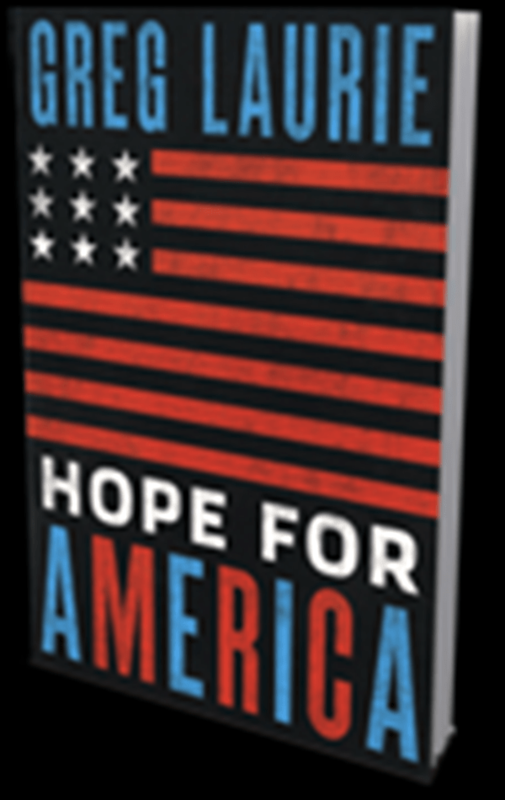 Greg’s latest resource, Hope for America, is written for all believers. It is a roadmap on how our nation can get back to the values that made us strong, and it shows how we can have a spiritual awakening in the nation. In less than two months, we are holding an event for our secular culture called Harvest America. It is one day, one church, one message. The gospel message will be beamed live from Angel Stadium across the nation.